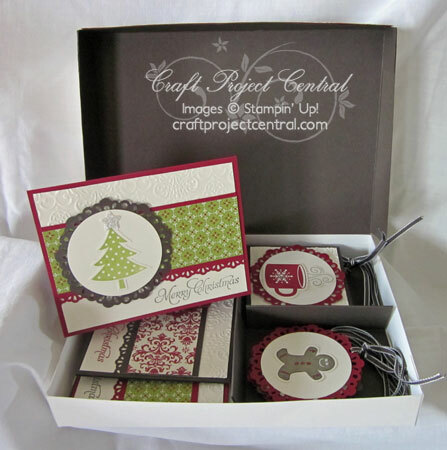 Here is a great set of boxed cards and tags that you can make for yourself or give as a gift! Project includes four different holiday cards, tags and matching envelopes! Make several sets and give them away to teachers, neighbors and friends! Makes a fun holiday class project too! This fabulous project was designed by Kris!